When was the last time you were asked to talk about your art? Did the words come easily? Were you confident or did you stumble and freeze? Sometimes artists think that they shouldn’t have to find the words to “explain” their art. After all, you’ve already put your time and talent into creating it! But someone who doesn’t know you or your work needs to get inside your head and heart with a few chosen words, from you. Just think about your experience with a good docent in a museum. By pointing out specific details in the artist’s style or materials or process, a good docent helps you focus. Gradually you begin to understand how the art conveys its meaning. This is what you do when you talk well about your own art. Such opportunities often come at you unexpectedly. You meet someone at an art opening, or at a family reunion, or at a neighborhood party. When people find out that you’re an artist, sometimes they ask you about your work. Try to make the most of these inquiries. They carry little risk and give you a chance to practice. You can hone your verbal skills so that you will be ready to talk to a collector or a gallery owner, or to make a presentation to a curator. Prepare three or four clear sentences that highlight key elements in your work. Social occasions require a more personal narrative rather than a formal statement. The language is conversational and in your own voice. Listen to these “before” and “after” versions of an artist responding to questions about her work. The artist sounds like she doesn’t want to talk about her work but she was just scared and unprepared. In her nervousness she pushes the question (and the questioner) away. She sounds doubtful about her own work. The person who was asking wandered off and seemed a bit disappointed. Notice how much information the artist has packed into her response. She keeps the tone easy and conversational, but offers interesting detail about her process and materials. When she uses a term like “urban landscapes,” she explains what it means. She invites a conversation. The language is specific enough to make the listener want to see the work. When this happens, the artist could quickly show images on her phone, and follow up by offering a studio visit. Those three sentences accomplished a lot! Talking about your work to a gallery owner is a little more formal. You are talking about the work as you present it. Here’s an artist rehearsing what he planned to say at his meeting with a gallery owner. Notice that artist draws attention to details in the painting. Instead of talking about a general idea, like nature or the environment, he shows how his work reveals a specific meaning. He asks the gallery owner to look more closely at the painting to see HOW it conveys meaning. This is the kind of language the gallery owner might use when talking to a collector. Talking about your art is one of 10 key behaviors that characterize successful artists. * When you talk well about your art you make people want to see it, to look at it longer, to look at it more closely. Remember, nobody falls in love with a work of art, or even considers buying it, until they understand what it’s all about. 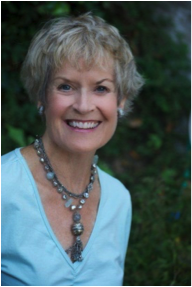 Mary Edwards Is a Career & Life Coach for Artists, based in the San Francisco Bay Area. She works with artists across the United States and all over the world. Her latest article, “How Art Careers Happen,” was recently published in Professional Artist Magazine.